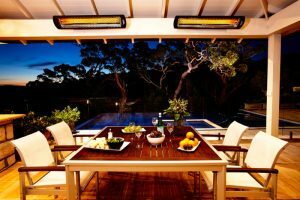 Outdoor Living Concepts offers commercial grade indoor and outdoor refrigeration from True Manufacturing. This line of refrigeration products offers a 65 year track record of performance and quality design. Whether you are looking for refrigerated wine cabinets, beverage centers, refrigerator drawers or beer dispensers for your residence, True will exceed your expectations. 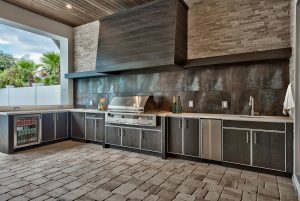 True Professional Series refrigerators is the ONLY outdoor refrigeration solution endorsed by Outdoor Living Concepts for homes located in Desert area. These under the counter refrigerators come in two different sizes, 15 inch and 24 inch including a beautiful 24 inch wine cooler that is perfect for keeping wine, beer and other beverages at the perfect temperature. These tinted glass door refrigerators come with glass that is rated for outdoor use. True is the only company that offers this feature. Another exclusive feature is the stainless interior throughout the units. The shelves are glass that is enclosed in stainless steel, adding to the beauty of the product. You can also easily see everything you have stored in the refrigerator. Integrated installation is easy due to the zero-clearance hinges included in all models. All models include a balanced cooling system that ensures an even temperature throughout and allows your beverages to cool quickly. True offers flexible shelving that can be easily changed to use as a refrigerator or a wine cabinet. Each model comes with special LED lighting that can change colors at the push of a button. This way you can set the lighting to fit the occasion. This model comes with 2 glass shelves and 2 wine shelves. It is able to hold 13 bottles of beer or wine on the wine shelves. Of course these shelves also include the flex shelving so you can add more space for beverages or refrigerator items. 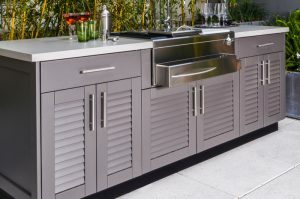 Whether you are just designing your outdoor space or want to make some changes, you should consider purchasing a True Professional Series refrigerator. 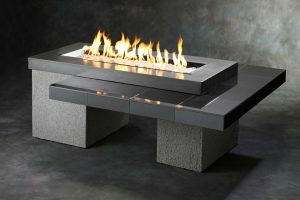 They are not only functional, they are also very stylish and will add beauty to any space, indoors or outdoors. True offers many exclusive details that make their refrigerators stand out from the rest. No matter which model you choose, you will be very happy with your choice.